Mutual fund investment has always been a reliable tool for investment. It offers sizable returns and ease of investment. The ease of investment in a mutual fund is because of SIP. Systematic investment plan lets you invest in any type of mutual fund scheme with convenience which can generate wealth for the future. That being said, it is important that one should invest in SIP so as to get maximum return to achieve a financial goal. Let us see how SIP helps you save for the future. One of the common reasons people used to hesitate to invest in a mutual fund was the lump-sum amount. 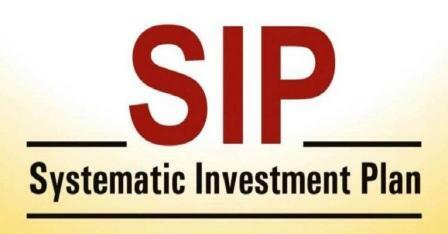 With SIP it has become possible to invest a monthly sum. You can invest a mere amount of RS. 500 which will be auto-debited from your bank account on a predetermined date. It does not strain your finances and lets you invest as per your convenience. Besides, you can increase your SIP amount periodically. It is also important you keep increasing your investment in order to grow your corpus. Market fluctuation is a common problem for investors which can hamper your investment. During such fluctuation, SIP buys fewer units when the market is on a decline and buys more units when the market is rising. It helps the investor to deal with volatile market and still gain healthy returns. To counter such a constantly shifting market, SIP is the best option for investment. More often than not, people complain about not being able to save money. It is also true that the more you earn, the more you spend. The systematic investment plan instigates disciplined savings, as a specific amount will be debited from your account monthly. It is one of the best investment options for those who spend irregularly and fail to save. With SIP, you would be able to save a sizable corpus for your future financial needs. When you invest in SIP scheme, your monthly investment gives you returns. Those returns are then again added to your actual investment and invested again. This process continues over time and your SIP investment is subjected to compound effect to give you exponential growth. For a secure and promising future, investing at an early age is crucial which would lead to the compounding effect. A systematic investment plan can be a game-changing investment option when you are saving for the future. It has all the necessary attributes to earn you a sizable income in long-term investment. You can calculate monthly investment, possible returns and tenure with the help of SIP calculator so you can manage your investments. SIP is indeed an excellent option for long-term investment.